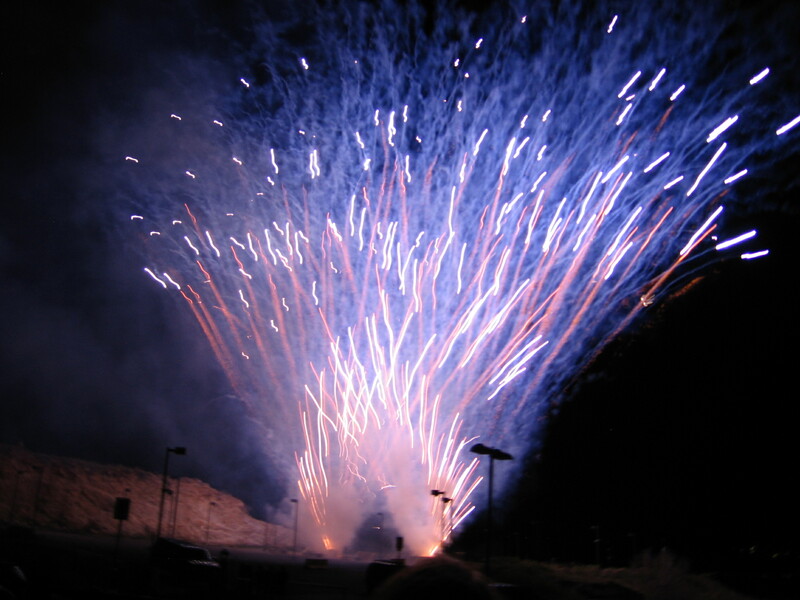 Fireworks from the School of Mines in CO. I want to wish everyone a wonderful Fourth of July from Minnesota Munch! If you’re as much of a foodie as I am, I’m sure gearing up to watch the Coney Island Hot Dog Eating Contest is a special event today. Honestly, my fiance and I are huge fans. We cannot believe the ridiculous amount of hot dogs these people can eat! In addition to watching the hot dog contest, we plan on grilling out, cooking up some family recipes and catching a little sun. Do any of you have a special family recipe that you would like to share? I’ll actually make them and post my favorite for the rest of the readers. In case you wanted to impress your friends with some fun facts about this wonderful day, check out what I’ve found below. Have a happy Fourth!! On July 4 alone, the biggest hot dog day of the year, 155 million hot dogs will be consumed. That is enough hot dogs to stretch from Los Angeles to Washington, D.C., more than five times. Another popular side dish for Independence Day is corn on the cob. Florida, California, Georgia and New York in total produced 61% of naturally grown sweet corn in 2008. Sadly, Minnesota is not on this list … we have a lot of sweet corn … trust me. The Fourth of July was not declared a national holiday until 1941, although the first official Fourth of July party was held at the White House in 1801. Guess the rest of America was a little slow. The percentage of American homes with an outdoor grill is 87 percent. The amount of chicken purchased the week before the holiday is 700 million pounds. There are more than 30 towns nationwide that have the word “Liberty” in their names. The value of fireworks imported from China, representing the bulk of all U.S. fireworks imports ($197.3 million ) in 2010.